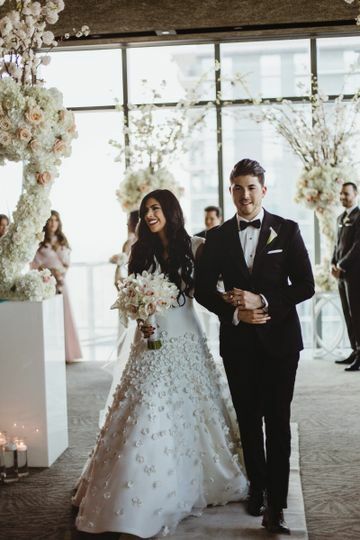 EAST, Miami is a distinctive lifestyle hotel and wedding venue located in Miami, Florida that offers over 20,000 square feet of versatile rooms and event spaces suitable for ceremonies, receptions, rehearsal dinners and wedding events. 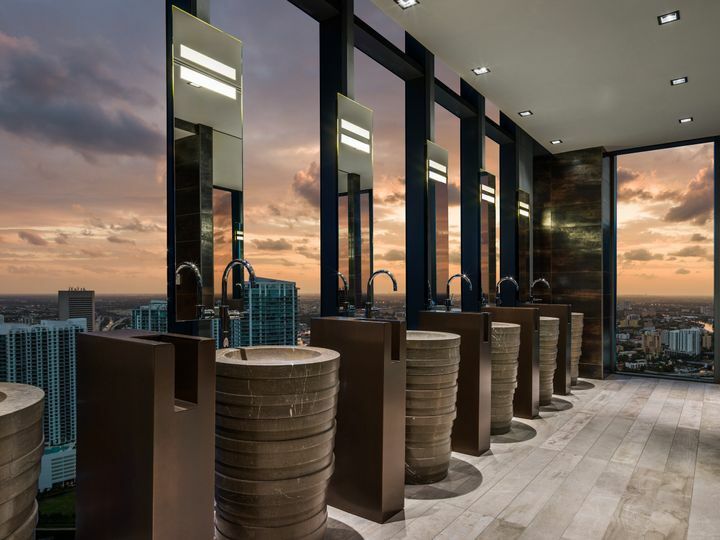 EAST, Miami is Swire Hotels' first venture into North America, following the openings of EAST in Hong Kong and Beijing. All of their spaces include floor-to-ceiling windows, complimentary internet, the latest audio-visual equipment and technical support. EAST, Miami includes 10 event spaces to accommodate up to 175 wedding or event guests. 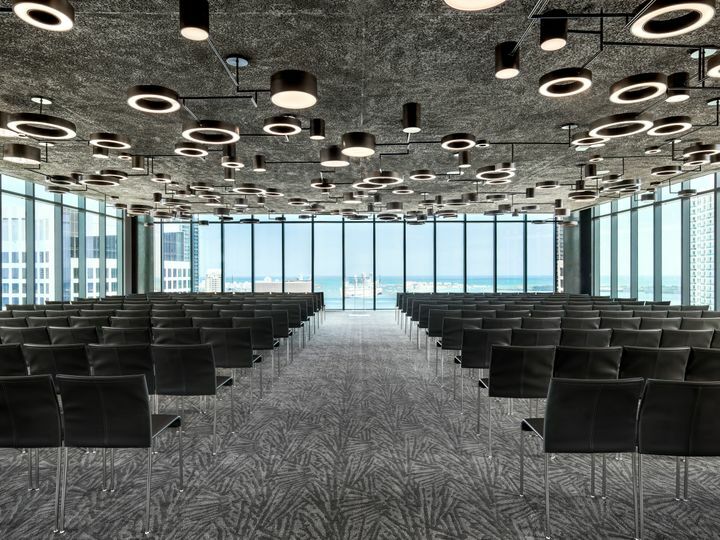 The Crush, their 3,300-square-foot ballroom, is located on the 39th floor and features 270 degrees of ocean and urban views. 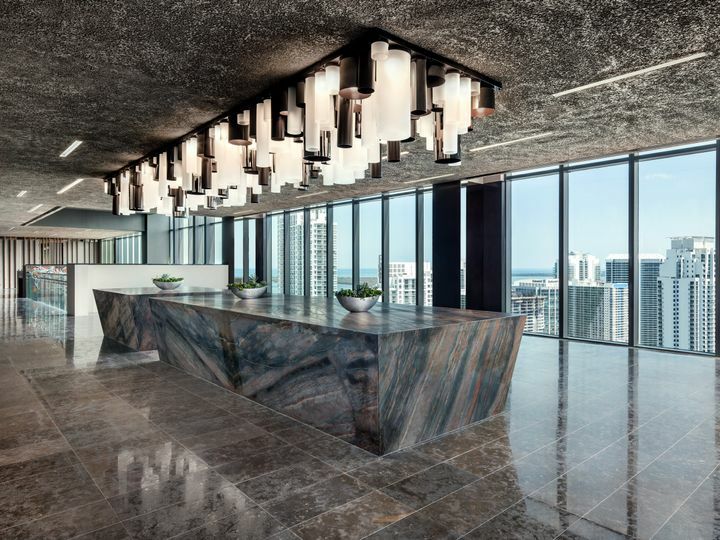 The 38th floor also houses two 1,600-square-foot event spaces, Rise and Set, and an 850-square-foot boardroom, High Noon. Four workshops ranging in size from 630 to 1,525 square feet located on the sixth floor are ideal for intimate gatherings. For outdoor occasions, EAST, Miami offers The Shrubbery and Pool and Deck areas. EAST, Miami proudly offers its signature restaurant, Quinto La Huella, and exquisite cuisine for its events. Catering options include plated dinners, passed trays and beverage service. EAST, Miami offers sleek and thoughtful guestrooms and a variety of food and shopping. Designed by award-winning architecture firms, EAST has 255 rooms, eight suites and 89 one, two and three-bedroom residences. Ranging in size from 300 to 1,800 square feet, all rooms, suites and residences feature contemporary interiors, floor-to-ceiling windows and balconies with spectacular views of Miami and the Biscayne Bay. Amenities include an outdoor pool deck, 24-hour fitness center, complimentary wifi, the largest average room sizes in Miami, a restaurant and a poolside bar and lounge. EAST, Miami is centrally located within a 15-minute drive from the Miami International Airport. 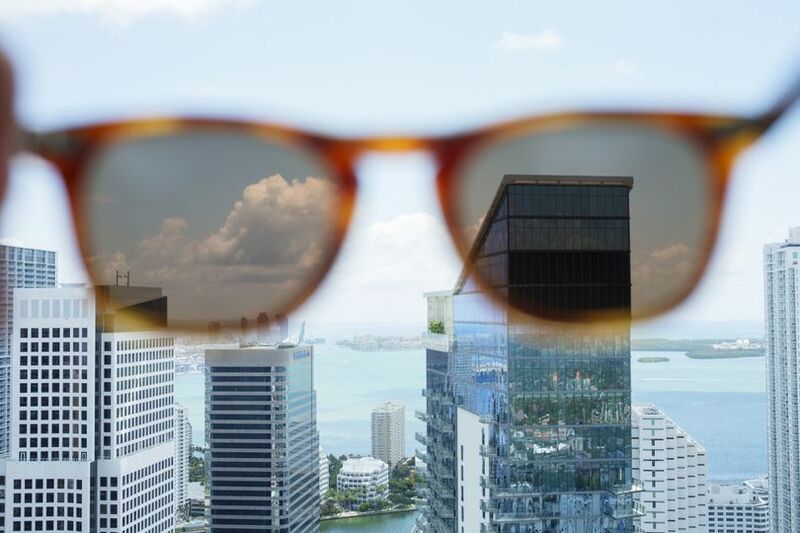 Situated on top of Bricknell City Centre, the hotel is conveniently connected to popular districts such as Wynwood, the Design District and South Beach. 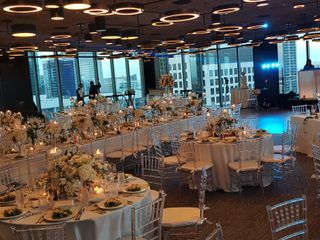 As seasoned Wedding Planners, we have had the opportunity of working at many top-notch event venues in the South Florida market; and amongst these wonderful venues, we have to give special mention to the EAST Miami Hotel, located in the Downtown/Brickell City Center. This is a Modern & Unique venue with breathtaking views and many luxurious amenities. Since it opened, we have had the absolute pleasure of having been able to work with many wedding couples in an attempt to bring memorable experiences to their Special Days. Our most recent experience on the 1st Day of September 2018 was no exception to the rule. With Jennifer Machado as the venues Events Manager on the helm and the Banquet Management Team under the Leadership of Jose Cobos & Rocio Sicaro leading the overall catering team, our event was an absolute success. From beginning to end - everything was well coordinated, food was delicious, service was phenomenal, responsiveness was there every minute of the night and the Final Outcome – an entire wedding group that was FULLY satisfied in every category of the word. Hands down, we fully recommend this venue and their wonderful team for your special events. We just had our daughter's wedding at the East Miami. Jessica Burks and her whole team were WONDERFUL. There is nothing I would change about our experience. The hotel rooms, the service, the professionalism was superb. The Crush where we had the reception was amazing. All of the servers were absolutely amazing, kind and helpful. I would recommend The East Miami with my eyes closed as a venue for any bride and groom looking for a place to have their reception. The vendors they recommended were all great. My daughter is so happy with the outcome which is what a parent thrives for. Check out the East Miami! You won't regret it!